The Master of Engineering distance education program is designed for students with an undergraduate degree in engineering or a closely related field who wish to pursue a graduate degree in engineering. 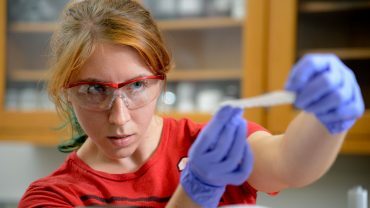 It is a 30-credit-hour degree program that does not require a thesis, final oral exam or on-campus residency. The Master of Engineering allows a student to put together their own degree plan that best meets the student's own career or employment goals. Courses must be taken from at least two engineering disciplines to create a general degree program. Created to address the needs of students whose schedule or location does not allow on-campus study, convenience and flexibility are the key advantages of this degree program. 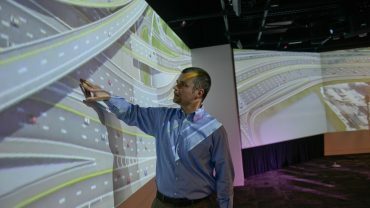 Engineering Online at NC State is responsible for delivering course content of the Master of Engineering degree program. Bachelor’s degree from an accredited college or university in engineering, computer science, mathematics, physics or related sciences. Individuals who do not have an undergraduate degree in these areas will have to complete certain prerequisites before being admitted to the program. GRE scores are not required BUT are highly preferable. All international applicants must take the TOEFL or IELTS exams (no more than two years old) unless they have completed one year of study in the United States, Canada or Great Britain. All international applicants must provide an officially translated transcript certifying course-by-course equivalence with USA grading system and the cumulative GPA from one of the accredited foreign credential evaluation services (NACES “National Association of Credential Evaluation Services”). Completion of 30 credit hours of graduate level courses with an overall grade-point average of 3.0. All classes must be graded, NOT audited; in other words, all 30 hours must be in graded classes. Completion of 21 hours of engineering classes with at least 18 hours taken from the College of Engineering Online classes and from more than one engineering discipline or computer science. Must take a minimum of three (3) courses from a single specialty area. The subplan area will appear on the student’s transcript if five (5) courses are taken in that specialty area. No more than six (6) classes will be allowed in a single area. Splitting the POW between 2 disciplines (5+5 in each) IS NOT ALLOWED, ONLY ONE concentration area is allowed. All subplan area classes MUST be taken from the College of Engineering at NC State University, transfer classes will not count for concentration area. Completion of a graduate Plan of Work (POW) after the completion of 15 hours of NC State credit taken in the Engineering Online program and submitted to the Graduate Program Director. To earn the Master of Engineering degree, the student must complete 30 credit hours of graduate level courses with an overall grade-point average of 3.0. Courses must be taken from at least two engineering disciplines to create a general degree program. The individually designed Program of Work must be approved by the Graduate Program Director after the completion of 15 credit hours. 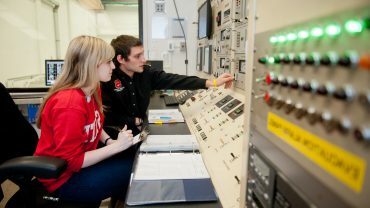 A minimum of 18 of the 30 credit hours must be completed with courses offered by NC State's College of Engineering.